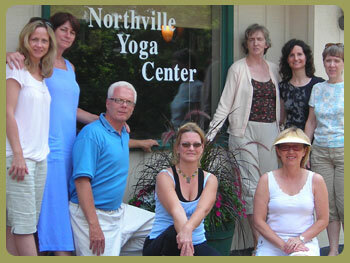 Like Northville Yoga Center on Facebook! To offer all students the most positive and beneficial yoga experience, please take a few minutes to review the Center’s etiquette guidelines Choose a class that is appropriate for you. Please take a look at "Our Classes" for descriptions to you as you make your selection. Arrive free of perfumes and colognes. Some students are very sensitive to smells please refrain from heavy scents. Wear comfortable loose fitting clothes. If you are coming to a class which offers inversion poses (where you are upside down) make sure your top is fitted enough that you can go upside without feeling self-conscious that your shirt will be falling over your head. Arrive 10 - 15 minutes early. This will allow you to change, use the bathroom and settle in to the practice space before class begins. Giving yourself just a few minutes on your mat before practice can allow you to be more present for your practice. 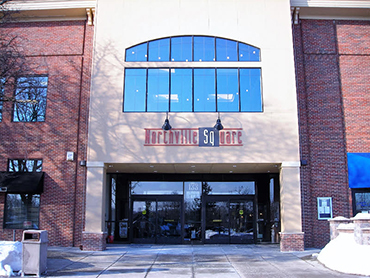 The doors to the studio will be locked promptly at the start of class. Schedule your time so you do not need to rush to yoga. If at all possible, PLEASE DO NOT leave early; it’s disruptive to others. If you absolutely must leave early and you know before hand inform the teacher and choose a spot close to the door so you will not disrupt others from their practice. Only bring water into the space if you absolutely need to hydrate yourself during practice. Remember that you are building internal heat this heat is part of the cleansing process that will detoxify your body, drinking during practice puts out the fire. Allow yourself to enter into a sacred and peaceful space for your practice. Create an intention for your practice - to become more aware, more compassionate, healthier and happier. By honoring the spirit of the practice, we will allow each other a more meaningful experience of yoga.